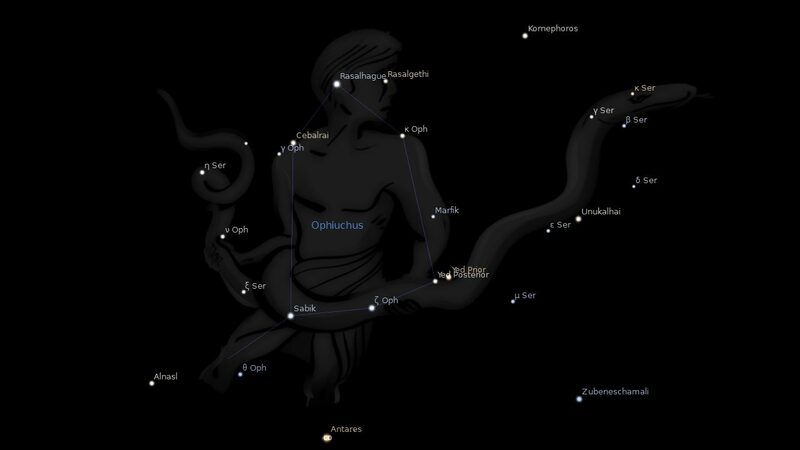 Fixed star Sinistra, Nu Ophiuchi, is a 3.3 magnitude star on the left hand of the Serpent Bearer, Ophiuchus Constellation. The traditional name Sinistra is a Latin word which means left side. 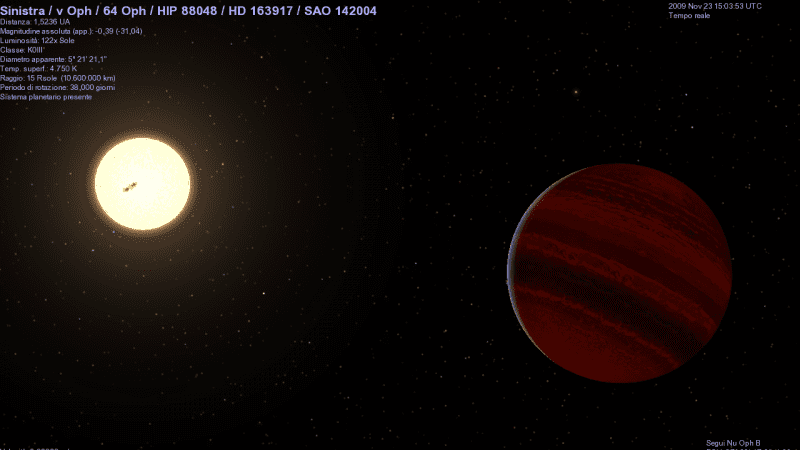 Although not a binary star system, Sinistra has two brown dwarf companions. Nu Ophiuchi b was discovered in 2004 and Nu Ophiuchi c was discovered in 2010. An image below shows the star Sinistra with the first brown dwarf. 1. Fixed Stars and Constellations in Astrology, Vivian E. Robson, 1923, p.54, 208. 2. The Living Stars, Dr. Eric Morse, 1988, p.157. 3. The Fixed Star Health and Behavior Imbalance, Ted George and Barbara Parker, 1985, p.116. Lustful, wanton, infamous, scandalous, addicted to sorcery -fair comment in all cases, but poisoning no- although I did give food poisoning to my best friend and the object of my lust with a slovenly germ infested fridge cake – so spot on there.